Self awareness is essential to every lucid dreamer. 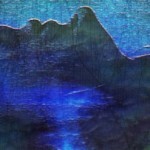 Self awareness for lucid dreaming is defined to be conscious of feelings and emotions through your dream. 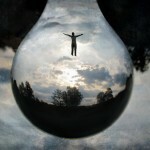 Having the ability to become self aware in a dream is what makes lucid dreams possible. You can become aware of your surroundings, your feelings and your desires enabling endless possibilities within the lucid dream. I am going to share with you 5 methods you can become more self aware in both reality, and in your dreams. 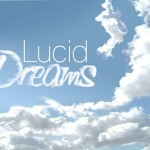 As you lucid dream, it makes the task of becoming more aware of the dream far easier than not lucid dreaming. When entering a lucid dream, set yourself a goal of making detailed observations. Take into consideration the colors of everything which is being discovered, the things you may encounter, and even the different smells you observe. Taking all these things into consideration will allow for you to become more self-aware in the lucid dreams you have. For example, if you enter a scene which seems to be unrealistic, deeply observe every detail you possibly can for an increased awareness. From the floor color, to the smell of the air. Don’t be afraid to spend a significant amount of time making observations of the scene – it can be fun! As you enter a lucid dream, strange things may happen; things out of the ordinary, which would not likely happen in real life. Now, how does it feel to watch and observe those things? Feels pretty strange, correct? That is completely expected, and is very common for lucid dreamers. However, what many people don’t do is observe feelings during these moments. Take a deep breath, and for a few moments you should observe your feelings. Are you feeling numb? Is your body aching? These are the sort of things you need to ask yourself within a lucid dream. For me, I found that when I become lucid, my body gives numbing sensations although I am freely allowed to move. It’s a strange, but pleasurable feeling that can only be understood once experienced. I can assure you that when I woke up; it was one of the first things I noticed about the dream, and allowed me to instantly differentiate the dream from reality with further lucid dream experiences. As you observe your physical state, you should then move on to more emotional aspects of your dream. Are you feeling anxious? Scared? Stressed? As you begin to open up to these feelings, you will allow for yourself to becoming more aware of your situation which can enhance the lucid dream experience. Being lucid in a dream gives you the opportunity to do whatever you please with your mind. This means you can explore deep scenarios which may definitely make no sense in real life, which is also heavily related to reality checking. Take any item you can think of, and imagine something impossible happening to that item. For example, a glass full of water can be used to demonstrate the impossible scenario. Throw the glass against the wall and imagine it bouncing back into your hands. As you experiment with impossible scenarios, you will automatically have a more vivid memory rather than if they all made logical sense. Of course, a class is one of the infinite amounts of scenarios you can come up with to establish an impossible scenario. Each night before you sleep, imagine a scene where you would love to be, and eventually you will be situated in that dream. This may sound easy in theory, but it will take time and practice for it to work. The more established of a lucid dreamer you become, the easier it will be for it to happen. A scene, for example, is essentially anything you can think of – whether or not it makes sense. Because, as you know, most lucid dreams don’t make sense which is how they can be differentiated from reality. One scene which could be imagined would be bouncing on the clouds. Because of the impossibility of this ever happening in reality, it will increase the amount of awareness gained in the dream, which is the goal of this method. To enhance this method further, as you visualize the dream scene, a good idea would be to add emotion to the dream. A dream is more than likely going to be memorable if particular emotions were used in the dream. That being said, negative emotions can cause conflict in the dream. This includes watching a scary movie before attempting this dream scene method, or if you had experienced trauma at some stage in your life. Unfortunately this can also lead to reoccurring nightmares which you generally won’t want to remember. From this, using positive emotions for the dream will allow for a more memorable lucid dream opposed to some negative experience. Once you’re in a lucid dream, a combination of techniques can be used to reinforce the fact you are dreaming, and not awake. As soon as you become lucid, begin exploring your surroundings by looking around you and choosing a target found interesting. This can be accomplished through doing a 360 from whatever position you’re in. As you observe shapes and objects, you will find that the objects may begin to either shrink or grow, which is not uncommon. As you expect to see the impossible, it will happen which will assure you’re in a dream which consequently will improve yourself awareness. From these 5 different methods used to improve self awareness, you can be confidently assured that each hold benefits you can use to your advantage. I personally found that looking at my hands made me instantly know I was in a dream, and from then onwards using the 5 different methods I was able to remember my dream vividly and was completely aware of my lucid dream throughout. If you enjoyed this article, Get email updates! 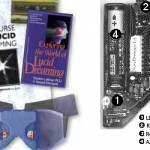 What is A Lucid Dreaming Mask?